Hong Kong Disneyland has planned a new attraction featuring a “alien invasion” theme for this year’s Haunted Halloween events which are expected to run from September 18 to October 31. 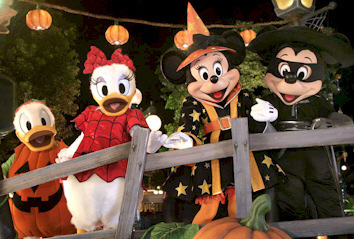 “The (Alien Intelligence) Agency reported that a gigantic spaceship has landed inside Hong Kong Disneyland with signs of alien life detected onboard,” the park said in a press release announcing the added attraction for the upcoming Halloween. 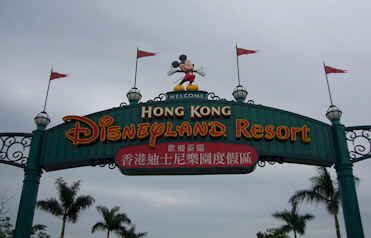 Hong Kong Disneyland is finally getting some much needed attention – a $450 million expansion plan that will add three new lands and a list of attractions that is nearing respectability. This is good timing with the very soon planned construction of another Disney theme park in neighboring Shanghai. Three new theme areas will be added which will give Hong Kong Disney 30 new attractions and boost the park’s size by 23%. While dozens of videos of Hong Kong Disneyland’s “it’s a small world” attraction have been posted on YouTube since the ride began soft-opening previews last month, the best version comes from member royal311 who posted a four-part ride through which simply shows the attraction without either unduly emphasizing—or at the other extreme completely editing out—the character cameos.